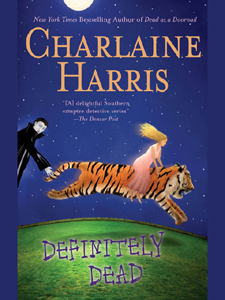 Definitely Dead (Southern Vampire Mysteries, Book 6) continues the story of psychic waitress Sookie Stackhouse. In this book Sookie leads the local police to call on her to help find a missing child. Sookie’s Cousin Hadley, a vampire, has been murdered, and Sookie inherited her apartment. She has to go to New Orleans to uncover the mysterious circumstances surrounding the death and meet with Hadley’s lover, the Vampire Queen herself. ‹ What, Snow in Late February!